Over the last year, Roland Dransfield has launched our new consumer division – winning new B2C clients including 20 Stories, UCFB and Crowne Plaza – undergone a total rebrand to bring our values to the forefront of everything we do, and brought in new recruits for both the digital and PR team to expand our client offering. Our work on launching 20 Stories in Manchester, one of the most popular bar and restaurants in the city, won us the Best PR / Social Agency Campaign Award. Following our launch event we achieved a social media reach of 1,467,000 people, a national media reach of 500m people and secured four full months of bookings at 20 Stories. It’s been a really exciting year for Roland Dransfield and it’s showing no signs of slowing down. 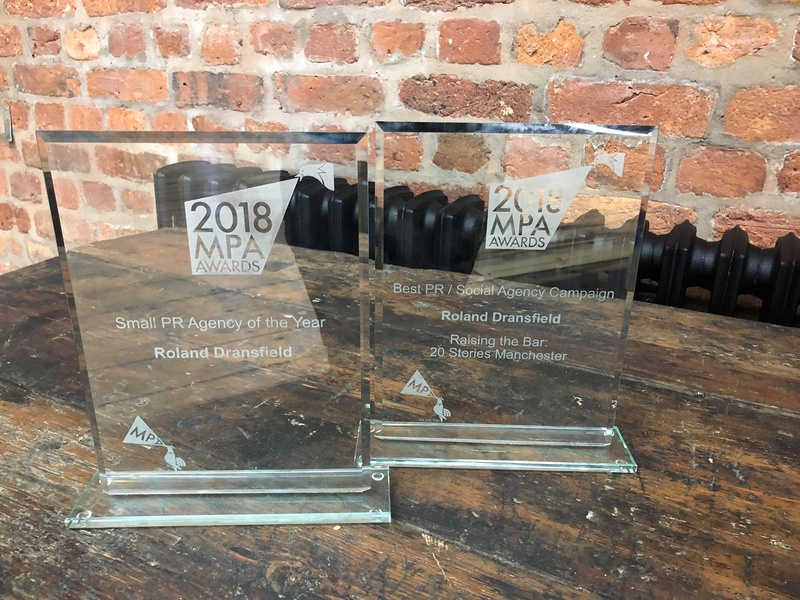 If you would like to discuss your own PR and marketing activities, get in touch with us at Roland Dransfield and we’ll be able to help you out.